Multi-channel retail is crucial to the carpet and flooring retail industry. Most customers will choose to look online at products before visiting a store to look at and feel products before making their decision. Every retail sector is different, and the buying journeys for carpets and flooring retail are especially complex. But making it easier for your customers to buy your products can only bring more business your way. Cybertill’s RetailStore cloud technology can help you to provide a seamless customer experience both in-store and online. We provide a comprehensive, easy-to-use retail software solution and already work with retailers such as United Carpets, Woodfloor & Beds, Flooring Republic, Floors 4 You and Anbo International. The ability to uniquely identify each roll of carpet with full visibility of all activity on each roll from purchase order right the way through to customer fitting. Offer paint and swatch samples, sell by the metre, and hold stock and sales data in part units. Easily convert the end of a roll into a roll-end product and sell as a separate item. Process transactions and access stock, sales and customer data in real-time from multiple devices. Complete product management including out of stocks, automated replenishment and in-transit stock reservations. Running a lean, efficient supply chain is pivotal to maximising retail margins. RetailStore lets you get the most in demand goods to the right location as quickly as possible. Give your estimators a tablet to record customer requirements on the system whilst they are in the customer’s home, saving admin time back at the store. Benefit from real-time reporting to analyse data your way or create bespoke reports for your business. Take customer orders against items that are on purchase order from your supplies or central warehouse but not yet received into the shop. Help you to manage estimating, repairs or warranty claims including the ability to take photographs, record any notes, add documents. Essential customer relationship tools, including, loyalty schemes and promotions to boost retention and help nurture new and existing customer relationships. 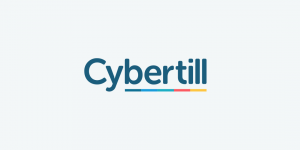 ­­Cybertill has helped many carpet and flooring retailers globally gain meaningful insight from sales, stock, and customer data and optimise processes across branded retail shops, concessions, and ecommerce channels. We provide a user-tested and flooring retailer-approved EPoS system with modules for complete retail management. Whether you are a flooring retailer looking to open a showroom, to a multi-store carpet retailer looking to sell better online, Cybertill’s RetailStore platform can help. Book a demo and see how the Cybertill RetailStore system can help automate processes, inspire your shop staff, and maximise your profits.